Turkish President Recep Tayyip Erdogan will pay a visit to Russia on March 9-10. Russian and Turkish Presidents, Vladimir Putin and Recep Tayyip Erdogan, will discuss the prospects for cooperation between the two countries during the talks on March 10, Russian Foreign Minister Sergey Lavrov told a news conference on March 6 following talks with his Azerbaijani counterpart, Elmar Mammadyarov. "Turkey is a close partner of both Azerbaijan and Russia," the minister said. 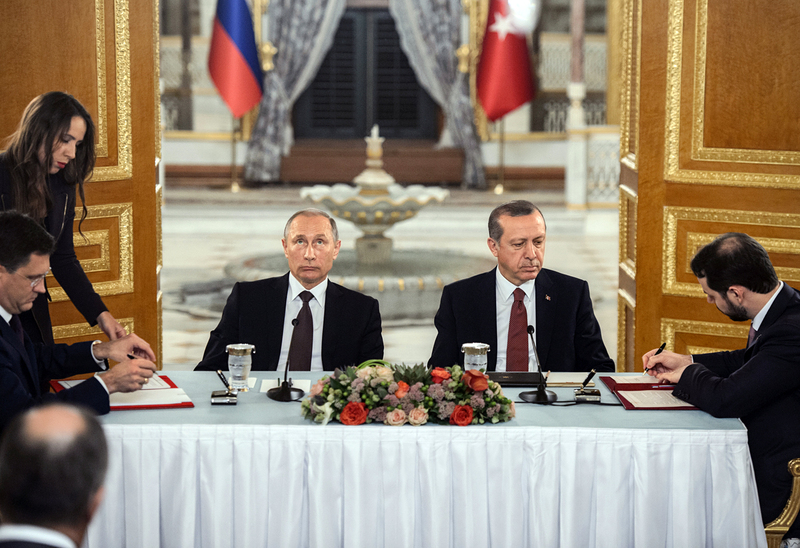 Lavrov recalled that the Russian-Turkish summit will be held soon. "We will talk about various areas of our cooperation. These are trade, economy, investment, joint infrastructure projects and many others, including foreign policy cooperation, primarily in promoting the settlement of the Syrian crisis through the implementation of our joint initiative, which has been joined by Iran, on the ceasefire and facilitating the political dialogue between the government and armed groups that develops on the Astana platform," he said. "We are prepared to develop such cooperation through both bilateral and multilateral channels. The most important thing is to make sure that there is an added value and the realities in that region are taken into account," the Russian foreign minister said. Russian Presidential Spokesman, Dmitry Peskov, earlier confirmed that Erdogan will pay a visit to Russia on March 9-10. Some media reports said that the two presidents will hold private bilateral talks and chair a meeting of the Russian-Turkish High-Level Cooperation Council.